Phew! 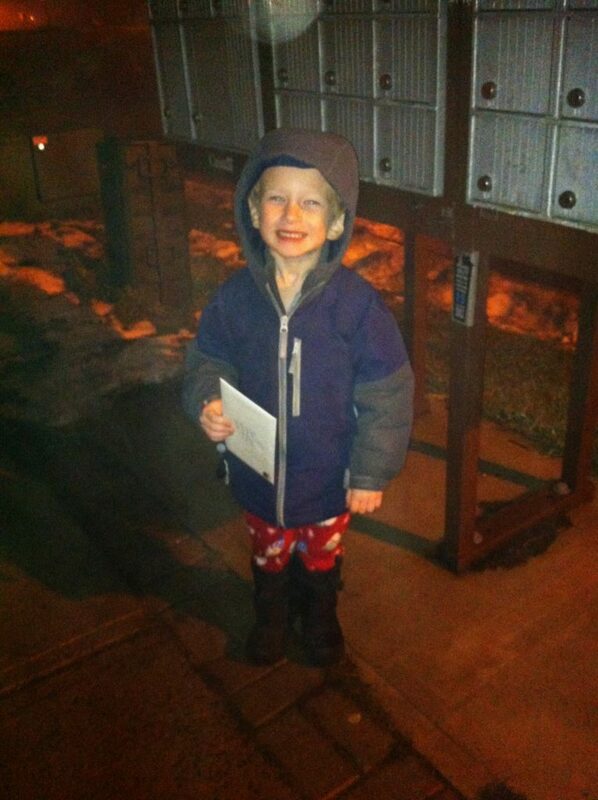 I just finished walking with my son to the mailbox to mail his letter to Santa. I totally forgot about it and tomorrow is the deadline to receive a reply. This Christmas has been the best year so far. 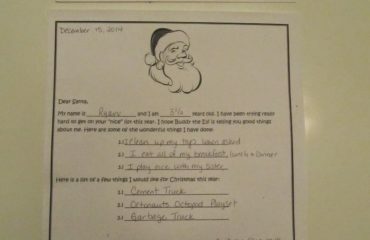 My son understands so much more than he did last year. 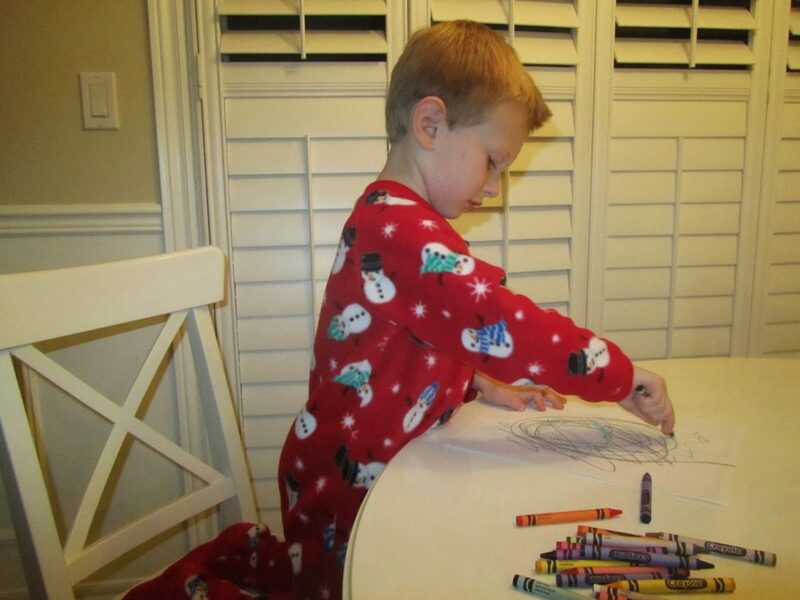 He enjoys watching Christmas movies, always wants us to read him a Christmas book before bed, and never forgets to put on his snowman pajamas. We have the Elf on the Shelf (his name is Buddy) from last year that my in-laws had bought him, but he didn’t really understand it until this year. Every morning he gets so excited to wake up and look for him. He knows he needs to be good everyday because Buddy is watching him and reports back to Santa. At the end of November when the toy books came out from the big box stores he was over all them. 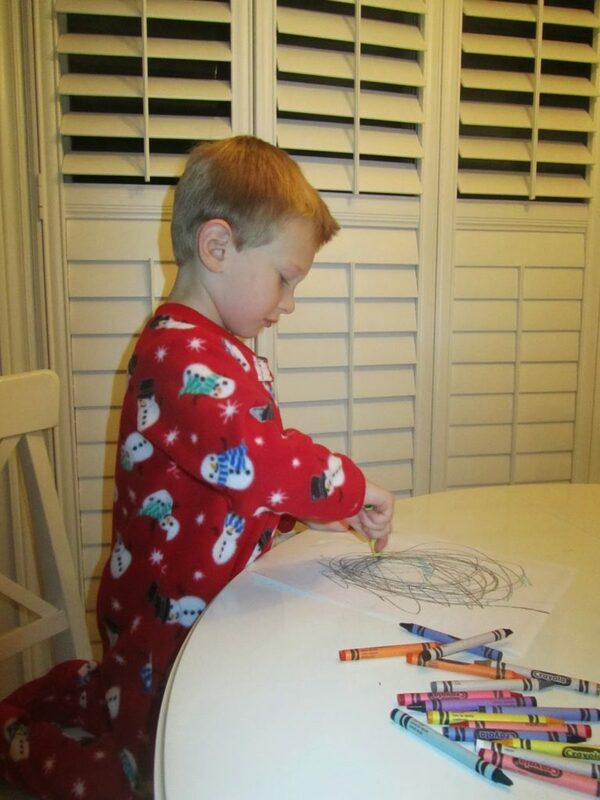 He used stickers to pick out things he wanted for Christmas to tell Santa when he saw him at the mall. Well, that didn’t go over very well because he was so freaked out when he saw him that he never told him. That’s why I said we needed to write a letter to Santa this year because Santa doesn’t know what he wants. 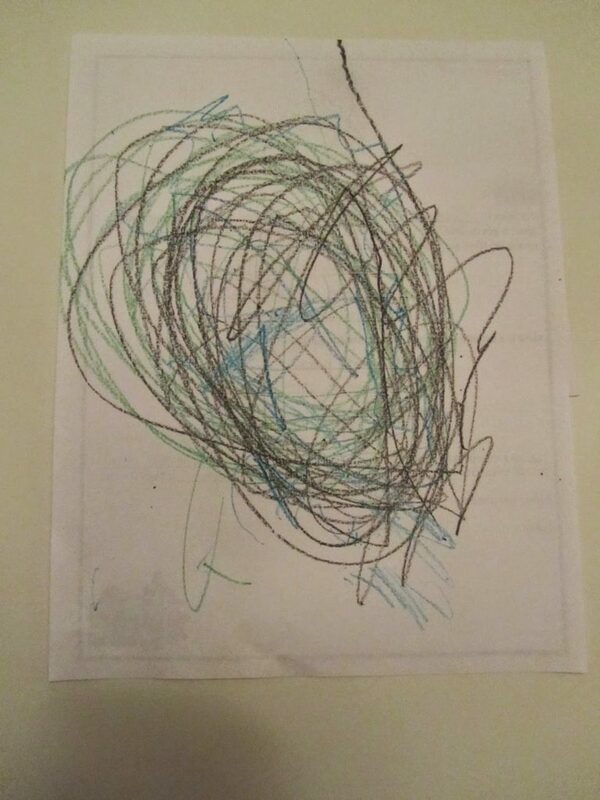 Once the letter was complete I let him draw a picture for Santa on the back. I made a copy of this letter before I mailed it to keep in his baby book. I think it will be a great memory to look back at. 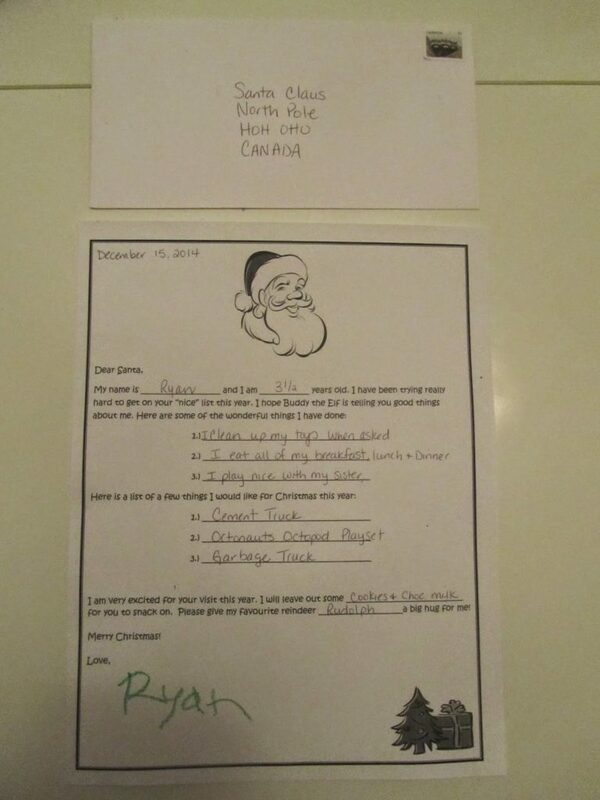 His first letter to Santa and what he toys he asked for. It will also be fun to compare his letter next year to this one. Afterwards we walked over the mailbox to mail it. He was so excited. He had to hold the letter all the way and wanted me to lift him up so he could put the envelope through the mail slot himself. It was so cute! Christmas Gift Ideas for babies and Preschoolers from Toys “R” Us!